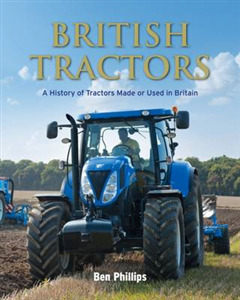 This book covers the story of British tractors from the early years of the 20th century, through World War 2 to the present day. 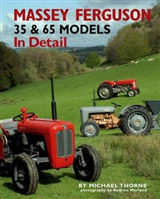 It was only really in the postwar years that the tractor became the universal symbol of farm equipment, and in this era that all of the famous manufacturing names in Britain could be seen in farms all over the country. 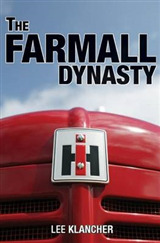 Manufacturers include giants such as Ferguson and Fordson, which operated on a global scale although they did build tractors in the UK, to British manufacturers such as Morris or Massey, and other specialist companies. Some of these names still survive today and many thousands of historical vehicles are preserved and can be seen at shows, often in action or in agricultural competitions. 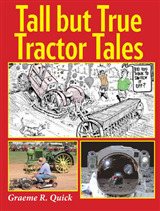 The text is complemented with photographs of many of the tractor types built in Britain in these years, from the earliest days pre-war days to the more recent era. Although written by an expert this highly accessible and affordable title will appeal to both enthusiasts and those with a general interest in the subject.